A new security flaw has been identified in the Firefox browser. Its exploitation allows bypassing the software’s security policy by allowing a web page to access trapped and steal potentially sensitive data on other websites consulted. 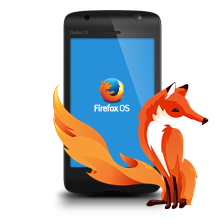 The affected users should quickly install the new software version (41.0.2 or higher for Firefox) via the update function (button “Open menu” and then “About Firefox” “?” ) to secure their computer and prevent any hostile exploitation of this vulnerability by malicious individuals, viruses or other malicious programs. -> FAQ : how to determine your software version number?